Dietitians Are Buying Coke’s Line: Sugar, Artificial Colors are SAFE for Children! We wish we could say we are surprised. Registered dietitians are now being given formal education by the Coca-Cola Company on how safe its ingredients are. 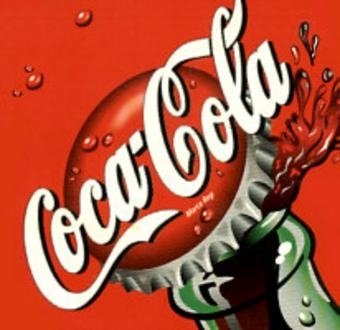 The credentialing arm of the American Dietetic Association, the Commission on Dietetic Registration (CDR), has approved a program created by the The Coca-Cola Company Beverage Institute for Health and Wellness.This covers what it calls “urban myths” about the safety of food ingredients. Participating in this program will earn registered dietitians Continuing Professional Education unit credits. At first glance, Dr. Kleinman should know what he is talking about. He is physician-in-chief at Massachusetts General Hospital for Children, chief of the Pediatric Gastrointestinal and Nutrition Unit, and Associate Professor of Pediatrics at Harvard Medical School. Couldn’t sound better, could it? But he has also received a great deal of money from industry sources—like artificial infant formula manufacturers Mead Johnson and Nestle Ltd. His study on optimal duration of breastfeeding was funded by Gerber Products. He also served as a paid expert witness for Gerber when they were sued for deceptive advertising. And he contributed to a brochure intended for children entitled “Variety’s Mountain” produced by the Sugar Association. Now he’s being sponsored by the Coca-Cola Company and telling dietitians that the ingredients in Coke which everyone is alarmed about are safe. The dietitians, in turn, will be telling parents that their fears are unfounded, and Coke can sell more Coke to kids. Program materials include gems like “[a]majority of studies so far have not found a link between sugar and behavior in children generally or children diagnosed with attention deficit hyperactivity disorder.” This is certainly news to us, since we have seen many studies that say the opposite. Apparently the dietitians are to teach us that any connection between artificial colors and neurotoxicity, or fears of the dangers of fluoride, are imaginary and come from hysterical (or at least unduly concerned) parents. As we reported recently, sugar and artificial sweeteners are anything but safe. Fluoride poses a significant risk to the kidneys. And commonly used food dyes pose risks which include hyperactivity in children, cancer (in animal studies), and allergic reactions. Even the Center for Science in the Public Interest, an organization that supports nuking food, agrees with this. And the British government and European Union have taken actions that are virtually ending the use of dyes throughout Europe. The ADA is sponsored by the soda and junk food industries—which we feel greatly tarnishes the organization’s credibility. And you may recall that the ADA has mounted a state-by-state campaign to make sure that its Commission is the only one which will be accepted as a credentialing body for both registered dietitians and nutritionists. There are, of course, significant philosophical differences between nutritionists and dietitians—they represent two different fields of study and practice. By accepting only a single credentialing agency—one run by the dietitians, not nutritionists—state boards are establishing a “one-size-fits-all” standard which removes all competition, essentially handing the ADA a government mandated monopoly over nutritional therapy. Unfortunately, the Nevada bill we told you about last month passed both the Assembly and the Senate and was signed by the governor on June 5th. While some amendments were made, the most troubling parts of the bill still remain: only registered dietitians can practice “dietetics,” which is defined by the law to include nutrition assessment, evaluation, diagnosis, counseling, intervention, monitoring and treatment—everything that a good nutritionist does and should do. We also told you about an ADA bill in New York, S.3556. The state’s Senate Finance Committee met on June 13 and decided to pass the bill to the Rules Committee so that it could be considered on the Senate floor. They are trying to rush these bills through, because next week the Assembly is scheduled to finish its work for the year, unless the chair calls a special session in the fall. Please click on our New York Action Alert here. The ADA’s power grab is a complete travesty. We will keep fighting it state by state until we restore competition in nutritional counseling and stop gagging PhD-trained nutritionists who don’t become dietitians.